Fluffy, buttery & ultra moist blueberry muffins with streusel topping. Bursting with blueberries, this simple recipe will be your new favorite muffins. I think blueberry muffins are the ultimate summer time breakfast. 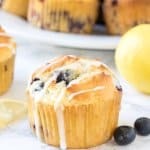 There’s nothing like waking up on a sunny morning to the smell of muffins, pouring yourself a massive coffee and biting into a muffin bursting with blueberries. Now, these particular muffins are a new favorite of mine. They’re buttery, fluffy, super moist, filled with blueberries and topped with streusel. They come together in about 10-15 minutes – so you’ll be smelling muffins baking before you’ve even finished caffeinating. While these blueberry muffins are easy to make, there’s a few key things to point out. First, their fluffy texture and rich buttery taste (I’m not counting calories here) come from creaming the butter and sugars together instead of using melted butter or oil. Your muffins will still be substantial enough for breakfast, but they won’t have that dense texture you find in grocery store muffins. Then the eggs, buttermilk & sour cream make them oh so moist without being greasy. 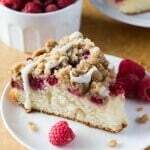 Sour cream and buttermilk are miracle workers when it comes to baked goods – they give the absolute softest crumb and so much flavor. If you don’t have buttermilk on hand, cow’s milk ok. I’d recommend using whole or 2% – skim won’t give you as rich of flavor. Now your muffin batter will be VERY thick – which is a good thing! The thick batter makes your muffins hold the blueberries and gives them the perfect domed shape. But be very careful not to over mix! Having a few lumps still in your batter is totally fine, but if you mix the batter til smooth you’ll end up with tough muffins (which are not very tasty). Lastly, the cooking tips! Make sure to fill your muffin tins to the very top to get that quintesential muffin shape. Since the batter is thick, you don’t need to worry about them overflowing. Then top with a few more blueberries (I like the aesthetic) and sprinkle with streusel. 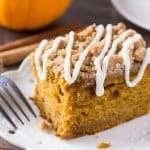 Or you could do more of a dumping of streusel – because hey, who can say no to cinnamon sugar?? Then to give the muffins even extra lift & create your bakery-style muffin shape, you’ll cook them in the oven for 5 minutes at 425F then reduce to 375F and continue baking for another 11-15 minutes. 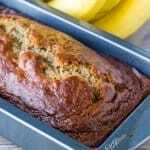 This will make your muffins really grow tall and give them a light browning on the top. Just don’t forget to turn the oven down after 5 minutes – or eles you’ll have burnt muffins and one sad morning…. Ok, ready? Get set! GO! Make yourself some delicious blueberry muffins! Fluffy, buttery & ultra moist blueberry muffins with streusel topping. 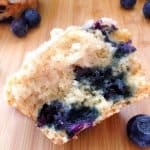 Bursting with blueberries, these muffins taste like blueberry coffee cake! Preheat your oven to 425F degrees and grease or line two 12-cavity muffin pans. In a small bowl, toss together the streusel ingredients. Set aside. Then in a separate medium bowl, whisk together the flour, baking powder, baking soda and salt in a medium bowl. In a large bowl using a hand-held or stand mixer, beat together the butter and sugar on medium speed until creamy - about 1 minute. Then add in the eggs and vanilla and continue beating until combined for about 30 seconds. Turn off your mixer, scrape down the sides of your bowl, and fold in the sour cream and milk with a large rubber spatula. Very carefully, fold in the flour mixture until almost combined. Then slowly fold in the blueberries. The batter will be very thick with some lumps remaining. Using a 1/3 dry measuring cup, scoup & pour batter into muffin tins filling each cavity to the very top. You should get about 14-16 muffins. Place a few blueberries on the top of each muffin & sprinkle with streusel topping. Bake in the oven for 5 minutes on 425F degrees, then turn down your oven to 375F and cook for an additional 11-14 minutes until tops are slightly browned and a toothpick comes out clean. Muffins are best if eaten the day of, but can be kept in an airtight container at room temperature for 3 days or in the fridge for up to 5. Ps. Does your puppy love muffins too?